In a nursing home on the outskirts of Cork, an elderly nun has been suffocated in her sleep. It looks like a mercy-killing - until another sister from the same convent is found floating in the Glashaboy river. The nuns were good women, doing God's work. Why would anyone want to kill them? 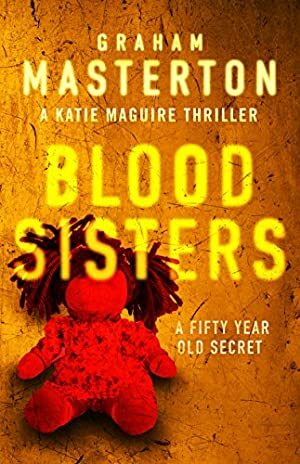 But then a child's skull is unearthed in the garden of the nuns' convent, and DS Katie Maguire discovers a fifty-year-old secret that just might lead her to the killer... if the killer doesn't find her first. We started tracking this book on February 20, 2015. The price of this book has changed 62 times in the past 1,518 days. The current price of this book is £2.80 last checked one hour ago. The lowest price to date was £0.39 last reached on September 3, 2015. The highest price to date was £7.99 last reached on February 21, 2015. We last verified the price of this book about one hour ago. At that time, the price was £2.80. This price is subject to change. The price displayed on the Amazon.co.uk website at the time of purchase is the price you will pay for this book. Please confirm the price before making any purchases.